AnA Photography are a local Photography Studio located in Bodmin, Cornwall. Their website needed to show off their images, and also provide all the necessary information to their clients. The website incorporates an online booking system, e-commerce solution for purchasing vouchers and also a self hosted image gallery system, with various purchase options. As well as all of the above, AnA Photography’s website also feeds data back to their studio management software, to help keep their workflow as efficient as possible. 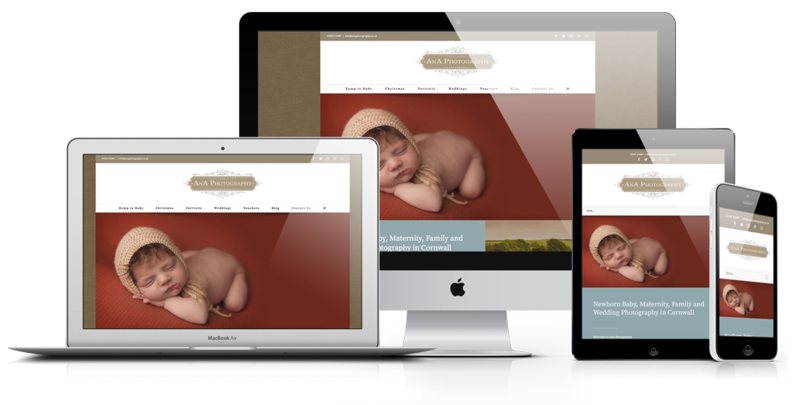 Due to the nature of the business, AnA Photography’s website is updated very regularly – inline with promotions and events within the business. We are constantly working with tweaking the website for the best speed performance and SEO results possible.